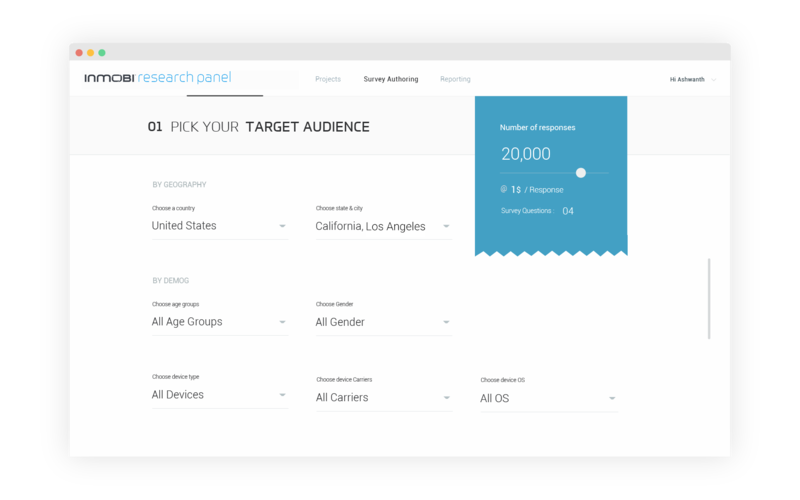 Instantly reach a panel of 1.5 billion users! Our deep understanding of the user and our machine learning algorithms help in filtering out fraudulent responses. 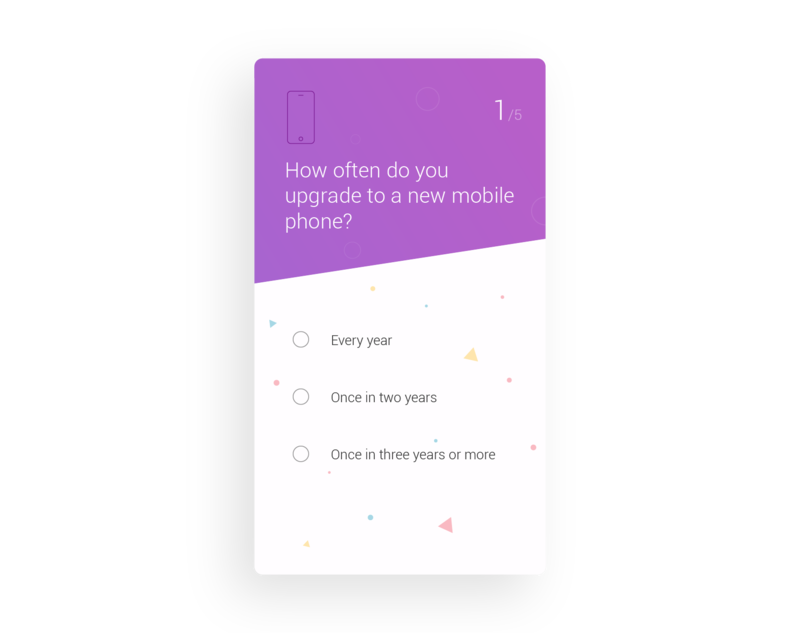 Our drag & drop survey editor helps you to create mobile-optimized surveys in minutes. 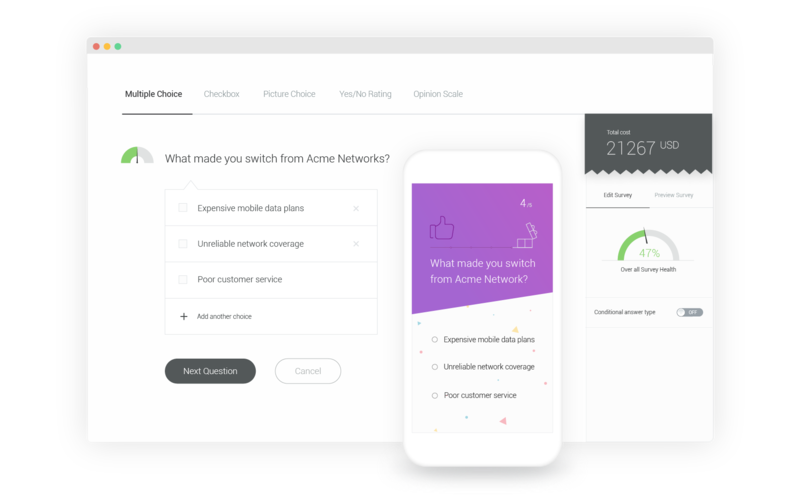 The adaptive platform renders surveys that match the user’s context and maximizes response rate. 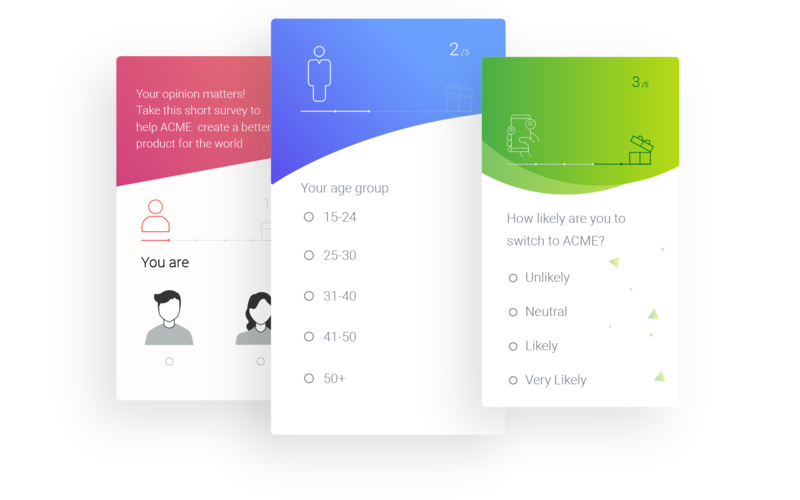 Analyze survey responses using interactive reports. 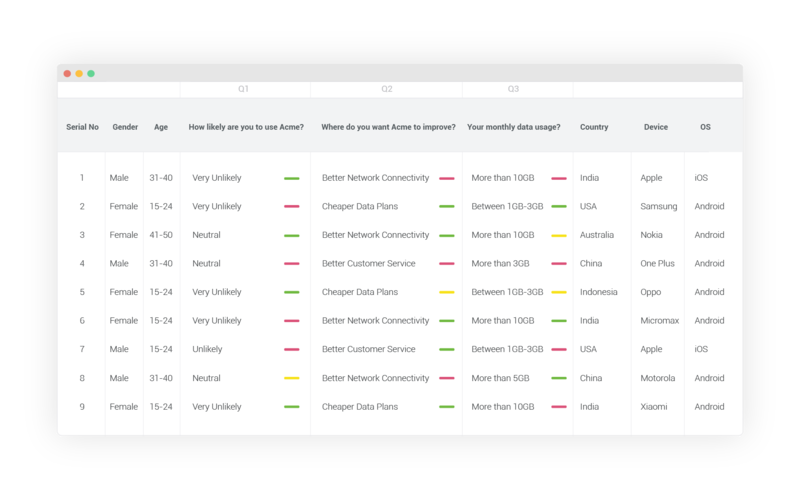 Layer survey responses on top of InMobi’s proprietary data like gender, age, location, and device model to get deeper insights. 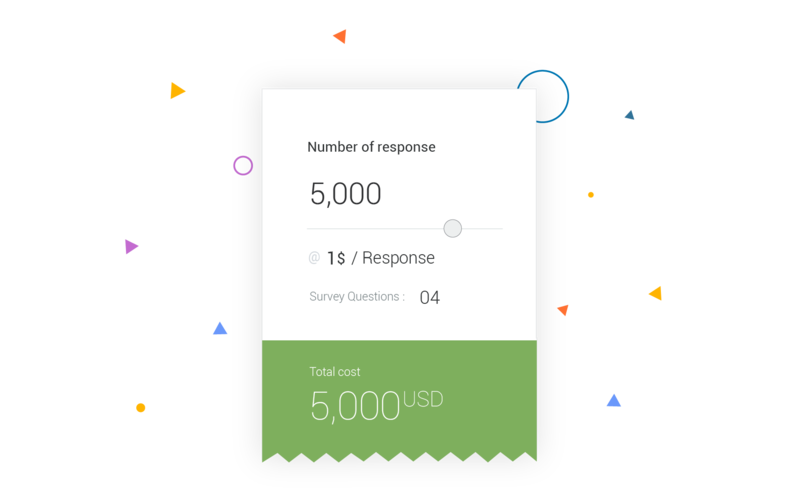 Our price starts from as low as 40 cents per survey response! The exact price depends on the number of questions in the survey and the audience targeting criteria. 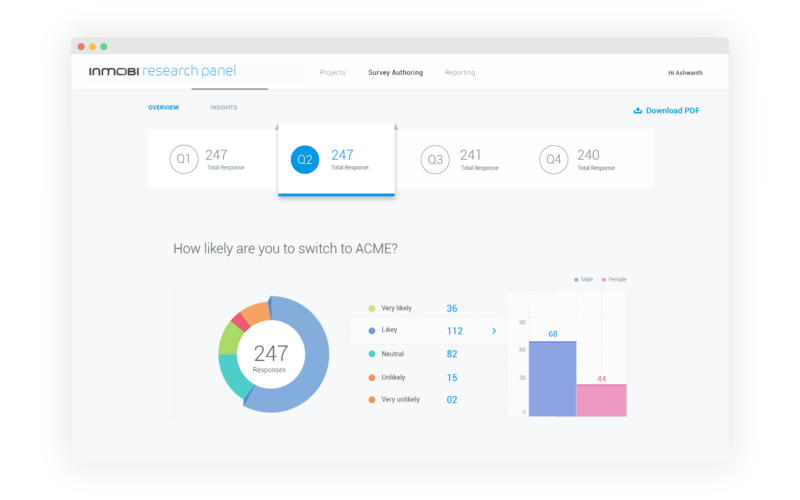 Contact us to know the exact cost of your market research.